The view from the ADMA’s control table at the Kigali Convention Centre auditorium for the International Conference On Family Planning. 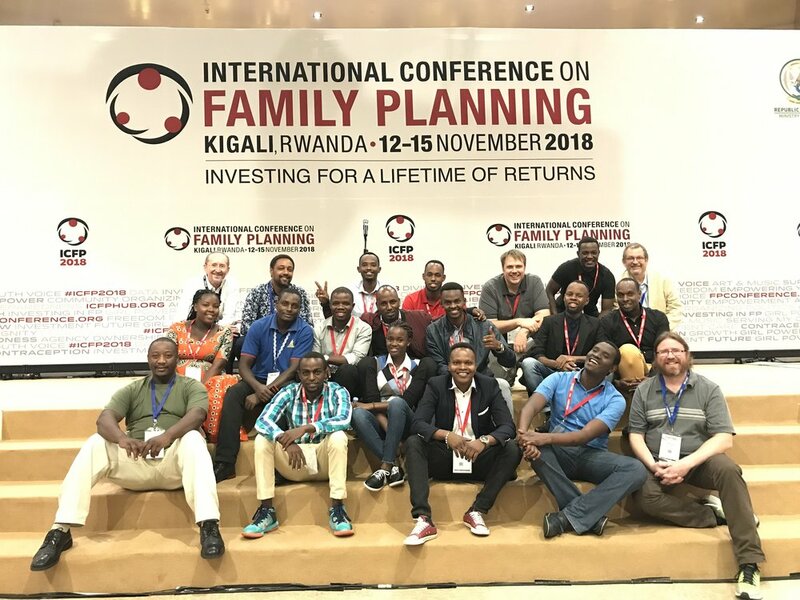 Last week, ADMA livestreamed the International Conference On Family Planning at the Kigali Convention Centre. Over 5,000 people attended. It was an amazing AND successful experience for the 24 ADMA students/alumni that took part. "Thanks to this whole team! GREAT WORK." ADMA’s lenses, cameras, and crane were all on the rooftop of KCC, shooting footage for the official music video “We Are Family” for the conference. On the last day of the conference, after the closing ceremony, we took our gear onto the roof of the Kigali Convention Centre for filming the conference’s official "We Are Family" song’s music video. Musical artists Yvonne Chaka Chaka, Knowless Butera, William Otuck, Avril, and Naveeni starred while the beautiful views from KCC’s rooftop were showcased in the background. What an amazing end to this successful event! Finally, A HUGE "WAKOZI NEZA" to ADMA's Munezero Emma Harris for editing this amazing recap video that was shown at the very start of the closing ceremony in the KCC auditorium, throughout the entire venue in overflow rooms, and livestreamed around the world!